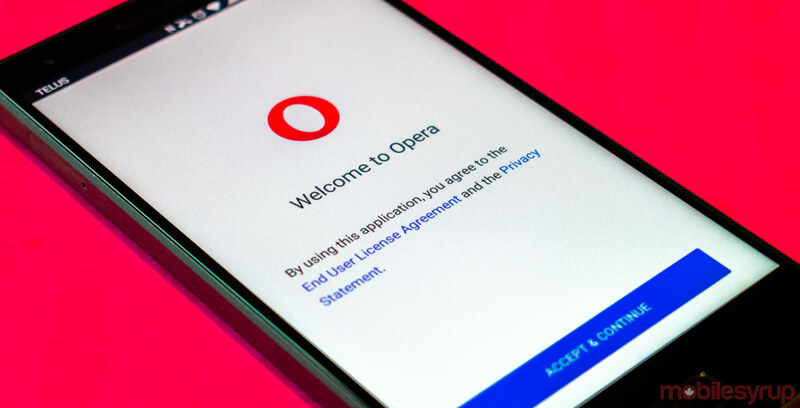 Opera for Android is getting a free, built-in virtual private network (VPN) service as part of version 51 following a round of testing earlier this year. The Norwegian browser developer positions the new VPN service as an easy-to-use privacy option. Further, it’s unlimited, so users don’t have to worry about hitting a cap on their VPN. For those unfamiliar with VPNs, they’re useful for securing your internet activity on public networks. VPNs create a private, often encrypted network within your public network to help secure data transmitted through that public network. Opera’s senior vice president of Opera for Android, Peter Wallman, says more than 650 million people already use VPN services globally. Typically, those services cost money to use. “With Opera [users] can now enjoy a free and no-log service that enhance online privacy and improves security,” Wallman said. Users can turn it on by opening settings and tapping VPN, then configuring settings, such as their virtual location. While the benefits are clear, browser-based VPNs aren’t always a great idea. Built-in VPNs only protect networks traffic from the browser. While that’s better than nothing in a pinch, if you’re serious about protecting yourself online, a full VPN service is better. Additionally, in my experience with Opera’s VPN in its desktop browser, it can slow down your browsing speed significantly in some instances. Regardless, it’s a handy feature to have on your phone if you find yourself having to connect to a potential sketchy public network. The feature is rolling out to users gradually starting March 20th. Keep an eye out for updates. If you don’t have Opera for Android and want to give it a try, you can get it from the Play Store for free.